Youth Brains + Lead Paint = IQ -7; Youth Brains + Marijuana = IQ -8. You do the math on legalization. 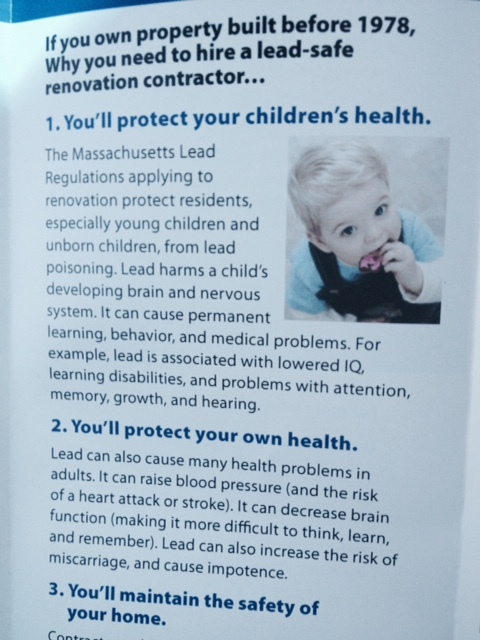 Lead paint laws put the public health rights of our youth ahead of those of paint manufacturers. Youth Brains + Lead Paint = IQ-7; Youth Brains + Marijuana = IQ-8. Can you do math? By 1978 we passed laws to get lead out of our homes, our gasoline, toys and other consumer products. Why do we keep lead out of our environments? To protect our children’s health and our own health. 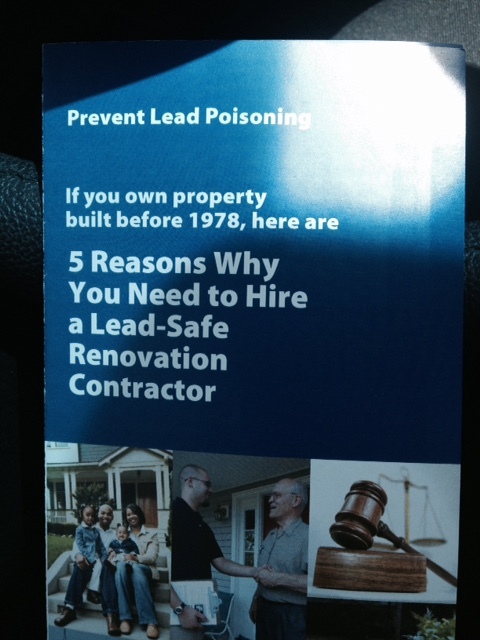 So, why worry about lead and not weed? The risks are eerily similar to those of ongoing marijuana exposures. Except lead can cost a young person 7 IQ points where marijuana use can cost 8 IQ points. We’ve taken lead out of our environment. Why would we ever choose to put more marijuana into our environment? It’s not a civil rights issue. It’s a public health issue. Precautionary and enlightened policymaking put the public health rights of the majority and those unable to advocate for themselves above the special interest rights of paint and petroleum manufacturers bent on making the lowest cost products to pad their profits. Massachusetts, in another piece of enlightened policy making passed the Toxics Use Reduction Act in 1989 which similarly put the rights of worker and public health and safety above those of chemical manufacturers and users. As a result toxic chemical use was reduced by 40% and affected businesses thrived as processes were improved and lower cost non-toxic alternatives were found. The ultimate measure of drug reform should similarly be drug use reduction and healthy non-chemical alternatives for our well-being. There is plenty of precedent for banning the accumulation of substances in our environment where the public health is harmed. Now we have the emergence of another chemical industry. The marijuana industry. Who, like the tobacco industry, are manipulating public opinion and policymakers for profit. On the flip side, legalization drives use rates up. Across all age groups. Regardless of whether the laws include age restrictions. Why? Because where there is more pot, more kids use. Because glamorization, titillation, persuasion and the reduction of the perception of risk is at the core of commercialization. Because capture of the youth market with an inherently addictive product, like marijuana or tobacco, is essential to creating lifetime “customers”. It is up to us to stop this. It is up to us to recognize when we are being fleeced again. We have seen it all before and should know better. When you are approached to sign a ballot initiative in the name of marijuana “legalization and regulation” or for the “civil rights” of marijuana users; or for the “repeal of the prohibition of marijuana”; beware. Don’t sign. Because legalization means commercialization. Don’t be complicit in the creation of the next public health crisis. Youth Brains + Marijuana = IQ-8. Can you do math?